A year ago today, around 9:00 pm, I hit publish on my first post and Broke Millennial was born. To use a cliche I absolutely detest but is incredibly accurate: time has flown by. 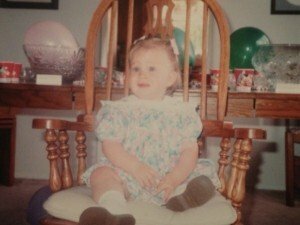 I felt about as terrified as I look in this picture from my actual 1st birthday. A year ago I had no clue what SEO meant, I couldn’t tell you a thing about coding and I didn’t even have a Twitter account! For those of you who follow me on Twitter, that’s probably the most shocking fact you’ve ever learned about me. I originally planned to stay anonymous because my general reaction to privacy issues and the internet can be quite Ron Swanson-esque. Eventually, my first name leaked out and due to a variety of circumstances my full name later became semi-attached to my blog. Lucky for you, it hasn’t stopped me from sharing embarrassing childhood stories and photos. Looking back on my first post, the mission of this blog was to be a resource to my fellow millennials and to cultivate financial literacy in my generation. In small ways, I feel I’ve succeeded, even if it’s just with my friends and some co-workers. I’ve certainly drastically improved my own knowledge and feel excited each day to learn something new. Joining this incredibly supportive community and getting exposure to a variety of schools of thought on all things personal finance. Over the last year I’ve written 107 posts specifically for Broke Millennial. This blog truly is an homage to my parents. I credit them for every ounce of my motivation to understand all things related to money and become self-sufficient. They gave me a privileged upbringing, but taught me to never feel entitled to their bank account. Through their tutelage money became a source of empowerment instead of fear. That is probably the best gift they’ve given me since life itself (and that Lion King belt on my sixth birthday. That was pretty clutch). 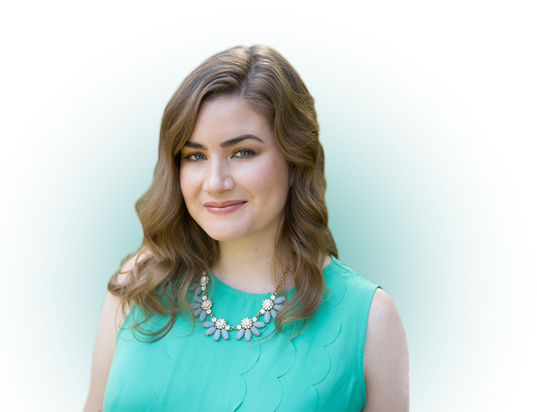 Thank YOU so much to you for reading/subscribing/following/commenting/emailing/making this site more than the ramblings of a woman who hopes to see serious change when it comes to financial literacy. Thanks, DC! I’ve loved watching your blog grow too. Congrats Erin! Your growth here, and especially in other places, has honestly been really impressive. You’ve really done a great job both sharing interesting content and making a name for yourself. I have to admit that the seeming ease with which you do it all makes me jealous from time to time. (I know it’s not actually easy, but it definitely comes off that way). I’m looking forward to all the cool stuff you’ll do from here on out! Thanks so much, Matt. I promise, there is a lot of angst and occasional tears involved in the whole process. I’m glad it comes off easy though! Thanks, Liz! I’m really excited to see what happens in year two. Congrats! Your accomplishments are incredible! I didn’t realize that this blog was only a year old. Amazing! I remember thinking that when I started blogging and guys I really respected posted about only being a year in. So much can happen in a year. I can’t wait to see what happens with The New York Budget! Congrats!!!! Just imagine what the next year’s going to bring too?? You’re killin’ it, girl. Keep going. Thanks J. Money! It’s awesome having you as a blogger to look up too and see what can be happening 5+ years down the road. Congratulations! What a successful first year – just think about where you’ll be next year! Keep up the great work. I hope it just keeps growing! Fingers crossed! Awesome work Erin. I come here and never realized you had only been around for a year. You have accomplished more than most. Keep it up! Sometimes I still feel like such a blogging rookie, but good to know I’m fooling some folks. 😛 Thanks for being a regular reader, Grayson. I’ve enjoyed your blog since my early months at this. Erin – we are proud of you!! Congrats on all of you success over the first year! It’s amazing what you have accomplished! Thank you, Tonya. It’s been a true whirlwind and I’ve loved every second of the experience. You certainly set a great example to aspire to Michelle. I’ve loved following your journey to self-employment. Happy blogiversary my fellow webnerd! Webnerds unite! I’ve really appreciated your support this year, Holly. Fantastic first year! Those are some great accomplishments. May many more await you in year two. I sincerely hope so! The #1 being FINCON!! Holy smokes! Your one year accomplishments are amazing. I can only hope to get half of what you got done! I would love to pick your brain in the future. Thanks, Tara! I sure hope there are many more to come. Congrats on the first birthday! Time does fly…and you’ve accomplished a lot in this one year alone. Very impressive. Thank you, Andrew. I love the perspective you bring to the NYC bloggers. Looking forward to seeing how your first year shakes out! Happy 1st Erin! You’ve had an incredible year, it’s seriously inspiring. Looking forward to whatever’s next! You’ve had a pretty epic year thus far too! Looking forward to seeing your recap when the time comes. That is so nice! I want to put #badass on everything now. Thank you so much, Sylvia! Thanks, Shannon! Hope next year has some equally exciting highlights. You’ve had a very prolific first year of blogging! Congrats! Thanks, Lisa! I really appreciate that. Congrats on 1 and may you have many more! Thanks, Sam. I plan to stick around for a while. Hope to reach the kind of experience you’ve had! Congrats! That’s a hell of a lot more accomplishments than I had in my first year of blogging! Ron Swanson is my spirit animal. A co-worker once told me she thought if Ron Swanson were a real person he would be my soul mate. I took it as the highest of praise. 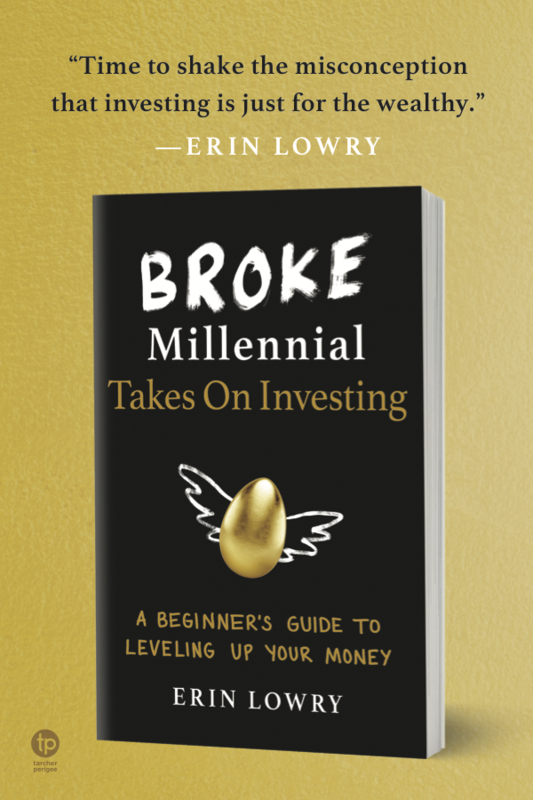 Happy 1st birthday, broke millenial. Wishing you more birthdays to come! Thank you very much! I’m wishing for many more too. Happy Birthday, Broke Millennial!!! Wow – what a great year it’s been for you and and Broke Millennial. Very, very well-deserved success and I am so proud to see your list of accomplishments. I laughed that you weren’t on twitter yet. I remember starting to get these tweets from a Broke Millennial. 🙂 Glad we connected and I can’t wait to see how far you go in year 2! Thanks, Shannon! Twitter is certainly quite addicting, but I still have only sent about 100 tweets under my personal handle and I refuse to get on Instagram. I can only handle so much at a time. Happy first birthday, BM! I’m glad you started blogging, because I love your blog! Thank you so much, Gina. That really means a lot. That’s a helluva year, congratualations Broke Millenial! Happy 1st birthday from a new fan! And what a list of accomplishments!!!! Always happy to have new fans! Hope you continue to enjoy my posts. Congrats on a great year! 🙂 Hope that year two is even better than the first! That’s what I wished for when I blew out my candles! Congratulations! Your posts continue to be of help to me and always an inspiration! That is very kind of you! Thank you! Wow, what a year for you! This one will be hard to outdo, for sure. That’s a good problem to have though. A happy problem indeed. Plus, pretty good motivation. Congratulations on a full year of blogging! That’s an exciting milestone 🙂 Here’s to many more years of successful adventures in blogging and writing for you! Congrats! You had a bountiful year you Millennial you! Thanks very much! I hope 2014 brings even more excitement. Thank you, Kayley. Hope to just keep on trucking! Thanks! I sincerely hope so too! Congrats on the birthday! I hope my first year is 1/10th as successful as yours was! Best of luck in year two! Congrats! You’ve come so far in only a year. Keep it up! First birthday is always a very great thing. When my son’s first birthday came up I was so happy and I even cried out of happiness.